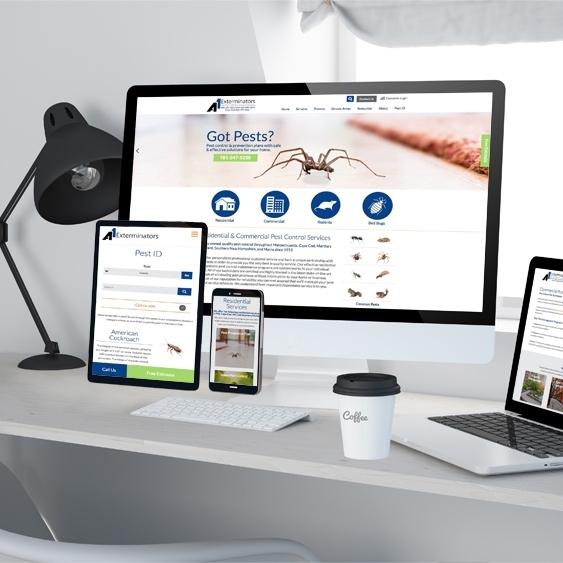 A1 Exterminators is a long time client of ours, and like any business their website got a little stale over time. Any website, no matter how well designed or how revolutionary at the time of launch will get outdated and need updating as time goes on. Keeping up with modern design trends and updating mechanics to be simpler, along with using the most current technology available, is key to having a website that users not only want to view, but is most effective to connecting them with the information they came to receive. We utilized a paradox effect on the home page image slider to give it something extra. When a user moves their mouse anywhere over the top image, the insect or pest will move with the mouse.